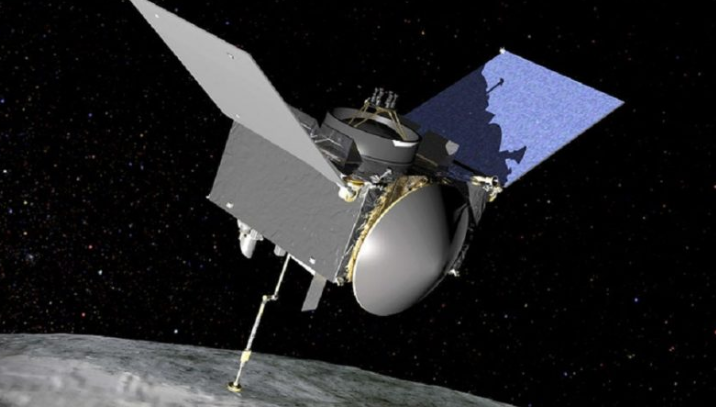 The OSIRIS-REx spacecraft, which has been orbiting Bennu since last week, discovered the presence of water in that primitive asteroid composed of the same molecules that gave rise to life on Earth, NASA reported today. "Recently analyzed information from the mission of the Origins Explorer, Spectral Interpretation, Resource Identification and Regolith Security (Osiris-Rex) has revealed the presence of water in the clay that forms its scientific objective, the Asteroid Bennu, "NASA said in a statement. This information, obtained thanks to the two spectrometers with which the probe is equipped, indicates the presence of hydroxyls, molecules that contain oxygen and hydrogen atoms adhered to each other. The researchers responsible for the mission "suspect" that these hydroxyls are found throughout the planetoid, the statement said, although NASA believes that its presence would be only residual. "Since Bennu is in itself too small to have harbored water, the discovery indicates that at some point this liquid was present in some parallel body, probably a much larger asteroid," the US space agency concluded. On December 3, NASA announced that OSIRIS-REx had completed the first phase of its mission, which consisted of reaching the orbit of the asteroid and, from now on, will accompany Bennu as if it were his satellite, to study how They displace the planetoids without a defined gravitational wave. Over the next twelve months, he will also work on locating a suitable place to land on the asteroid, in order to start collecting samples that can be analyzed when the aircraft returns home. "When the samples of this mission arrive on Earth, in 2023, scientists will receive a hidden treasure trove of new information about the history and evolution of our solar system," said NASA's mission and science officer responsible for instrumentation. Amy Simon, cited in the note. In a press conference, the principal investigator of OSIRIS-REx and professor of the Planetary and Lunar Laboratory of the University of Arizona, Dante Lauretta, explained that although Bennu is too small to have lodged water, the finding indicates that at some point there was liquid in the original body or "father" of Bennu, a possibly much larger asteroid. "We are talking about an asteroid that can reveal important information about the early formation of the solar system or even the beginning of life on earth," said Lauretta. The scientist said that until now the images they have received have allowed them to see the rocky surface of the asteroid. Bennu is approximately 500 meters in diameter and has the approximate size of a small mountain.